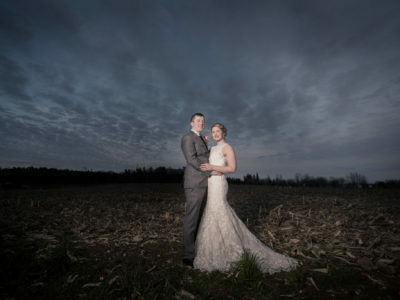 There were clear skies all day until the minute I started packing the truck with my camera equipment.. 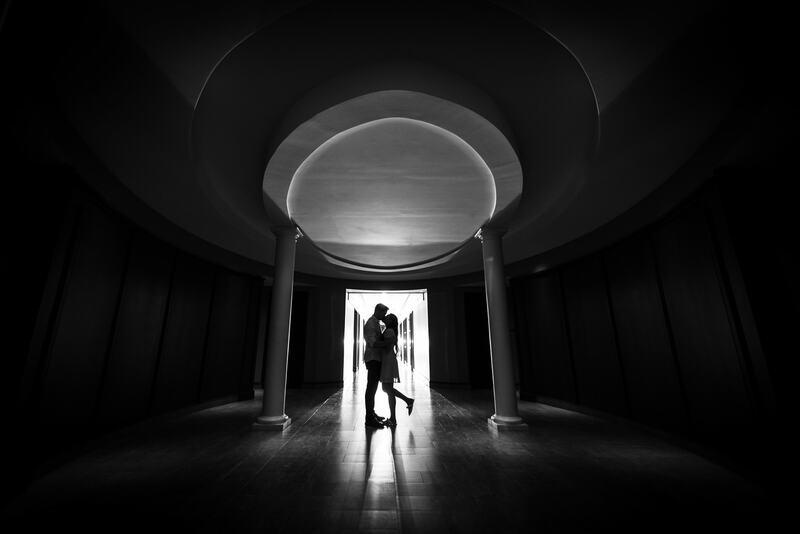 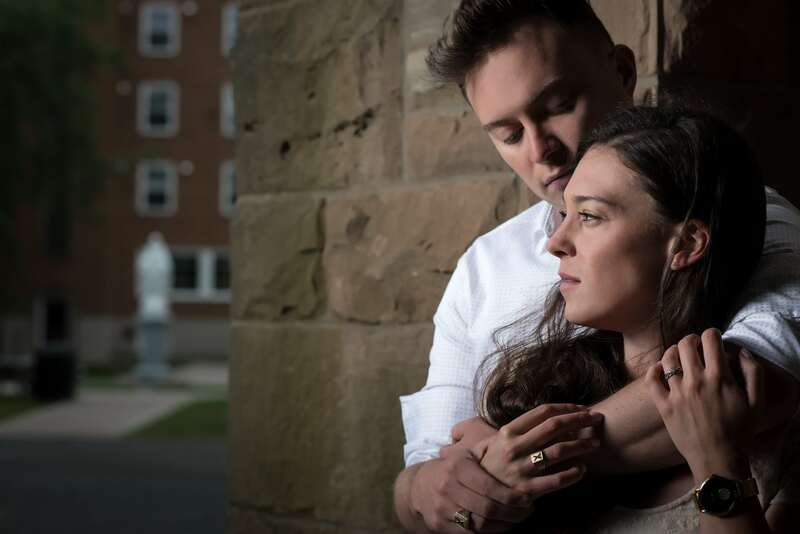 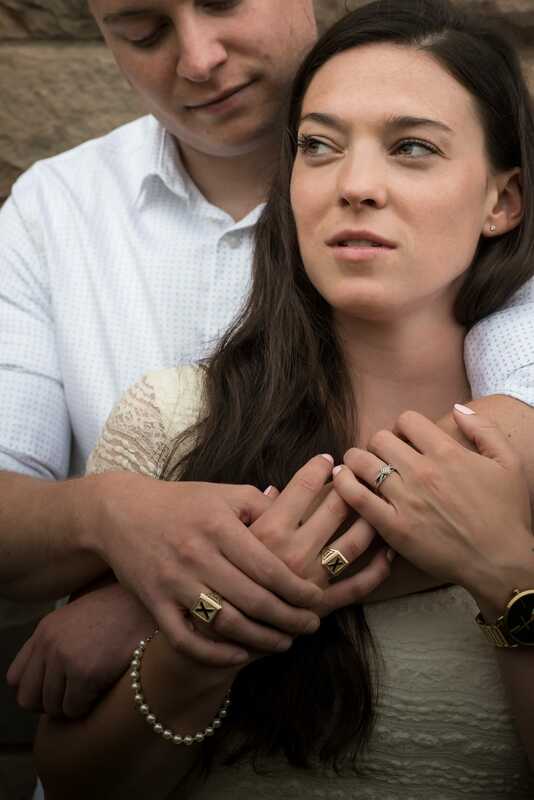 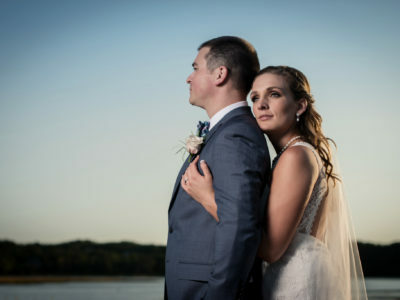 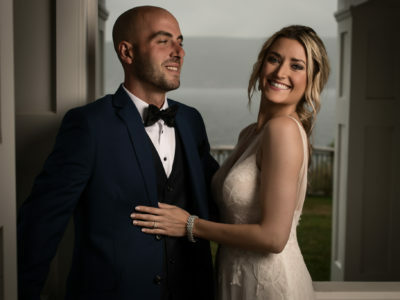 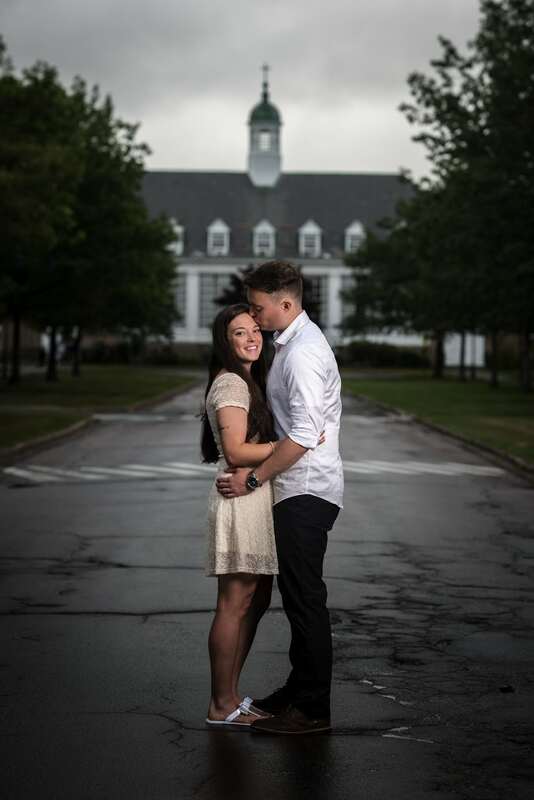 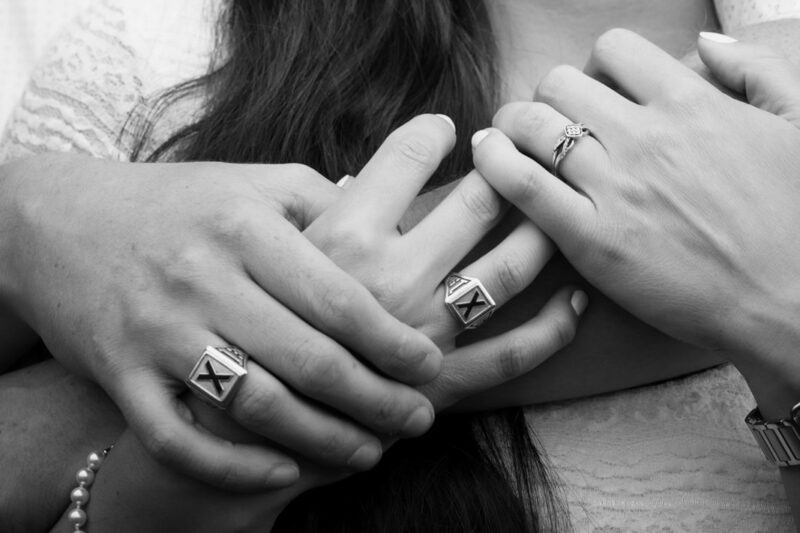 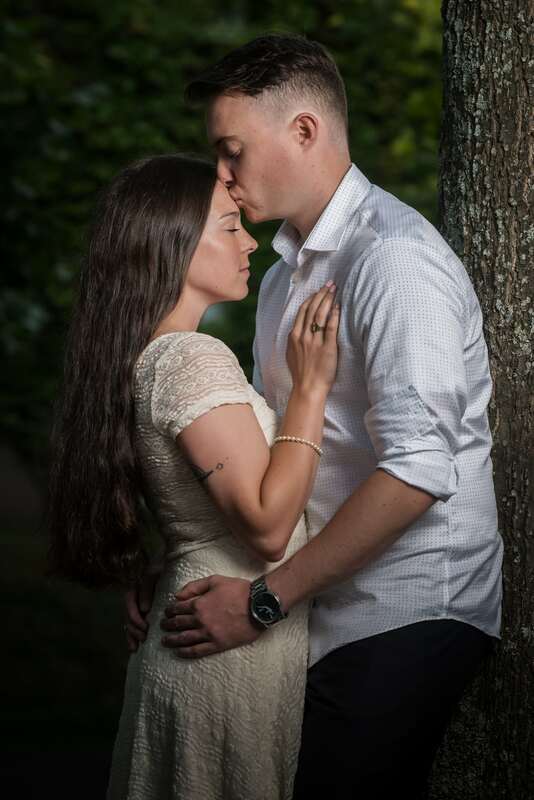 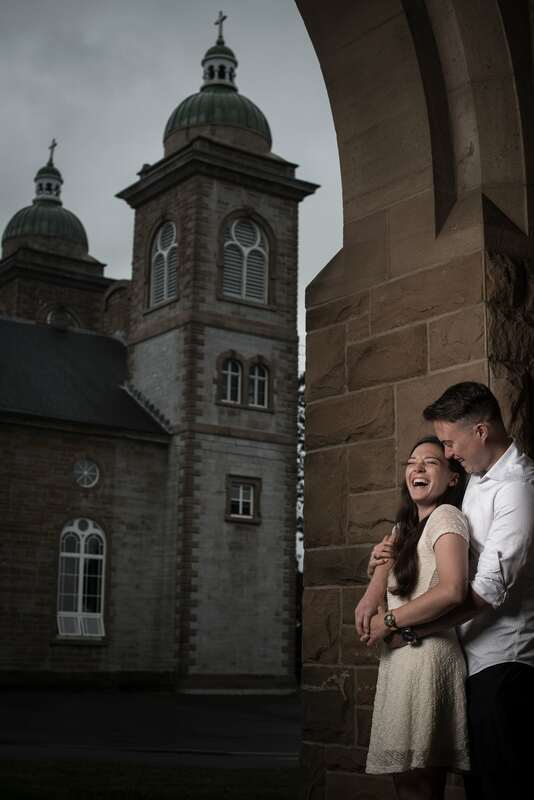 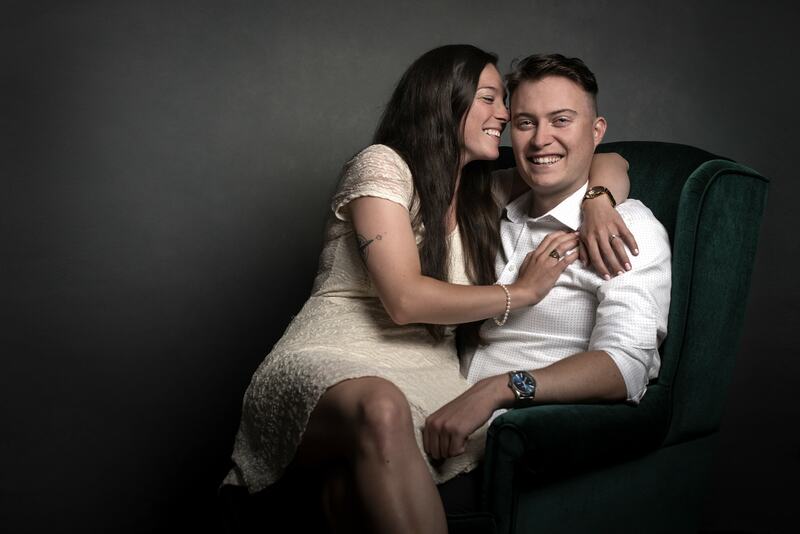 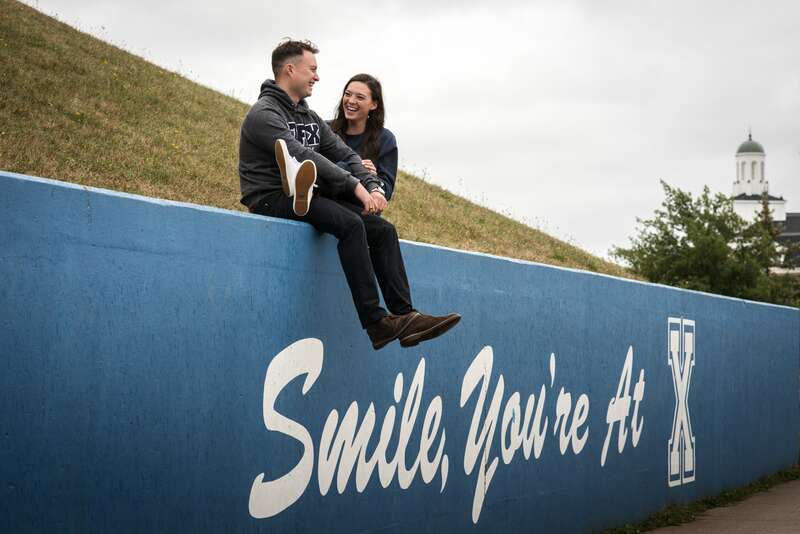 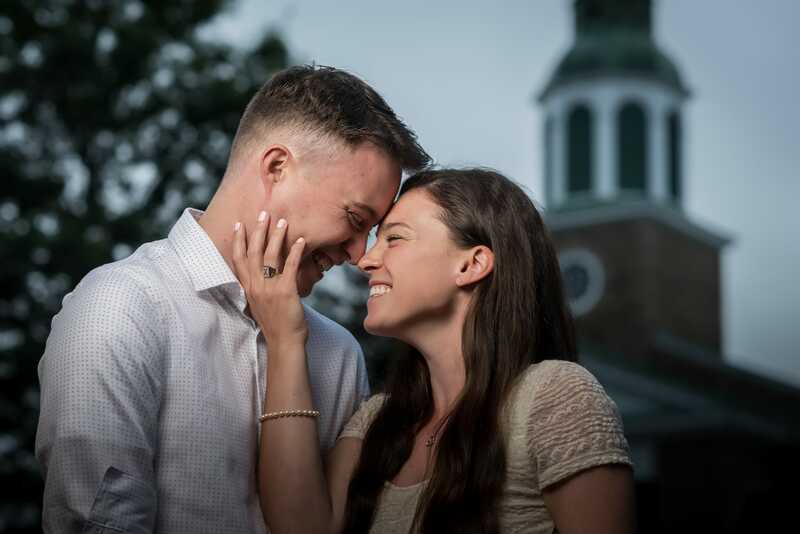 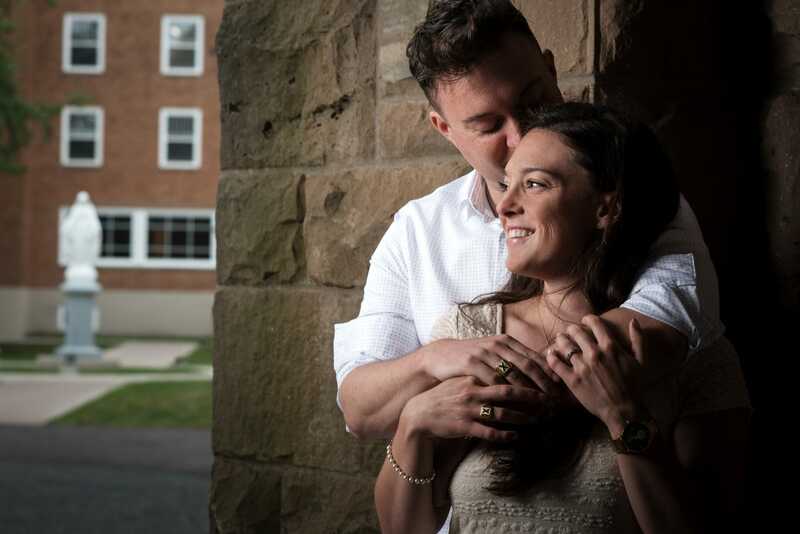 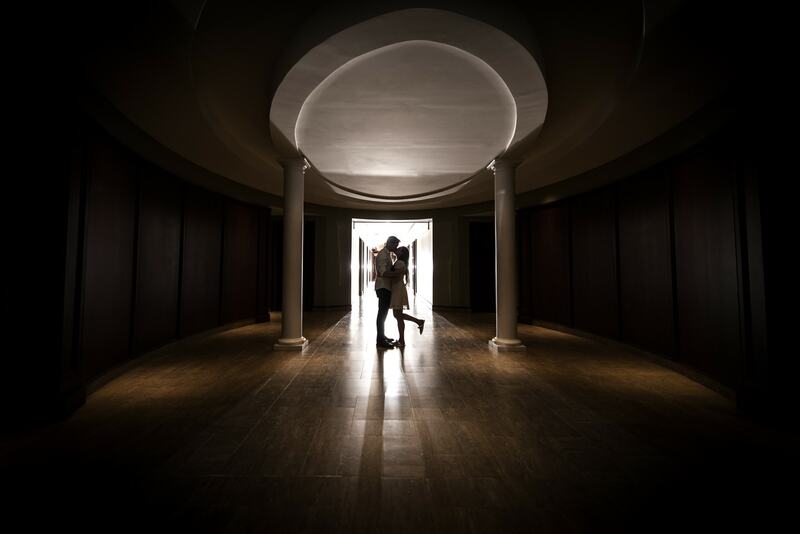 This STFX Alumni couple were each traveling quite a distance to come back to STFX for this engagement shoot. 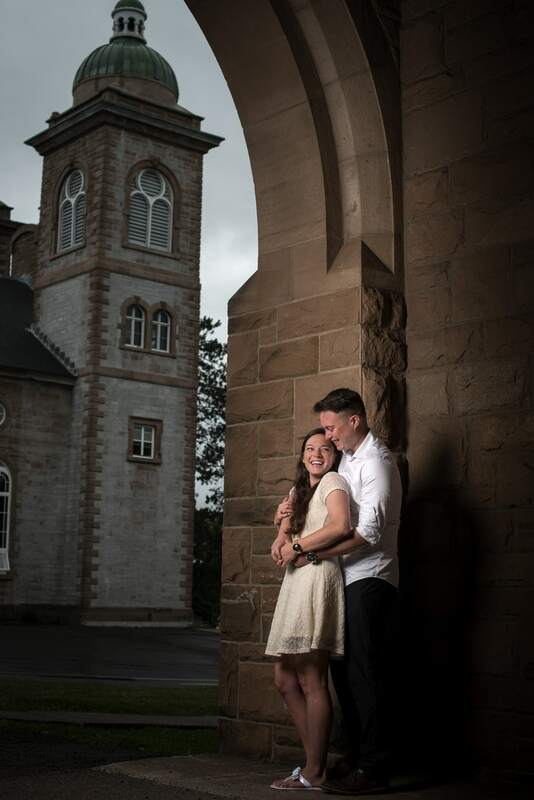 She was driving from Halifax, he was driving from Sydney CB. 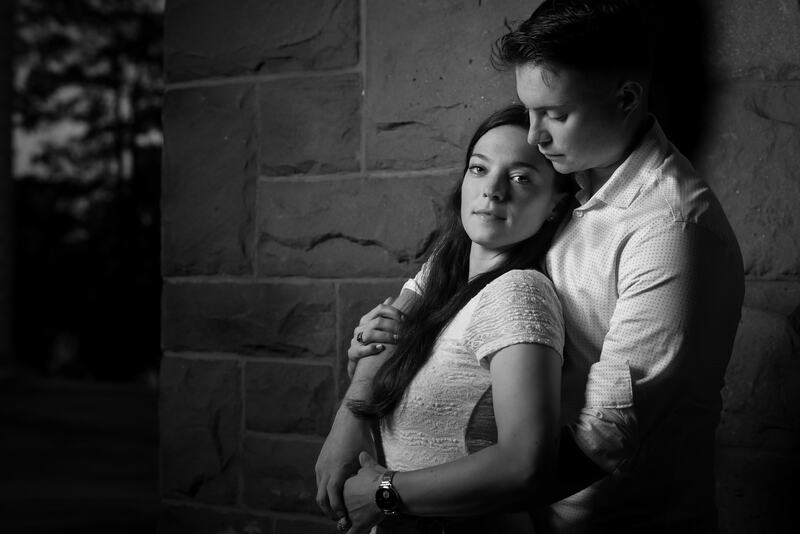 They were both on a short leave from their Royal Canadian Navy Posts and this was the only day to do this shoot. 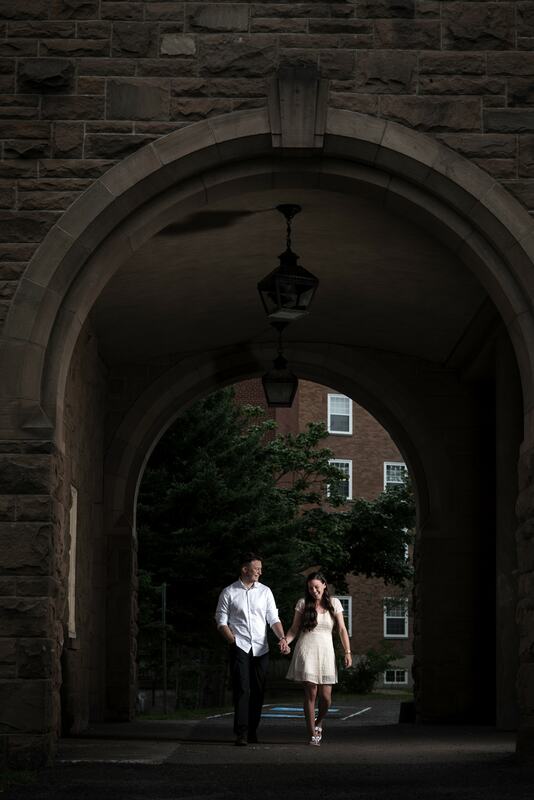 A mixture of shooting under the beautiful architecture of The Mount, the shelter of the The Gerald Schwartz School of Business (where they both attended classes before graduating three years ago), lucky with on/off rain and my studio finally got the job done.